The hopes of a nation rode on a long shot. Set in the era of the Depression, this true sports drama centers around three men and the horse Seabiscuit, who through his legendary racing, helped create victories that were instrumental in igniting the spirit of the poor and jobless Americans of the 1930s. The owner of the horse is Charles Howard, and he hires a former partially-blind boxer with riding skills, Red Pollard, to work as his jockey. With the help of horse trainer Tom Smith, the three men train and promote Seabiscuit into becoming a house-hold name in America through the horse's racing victories. 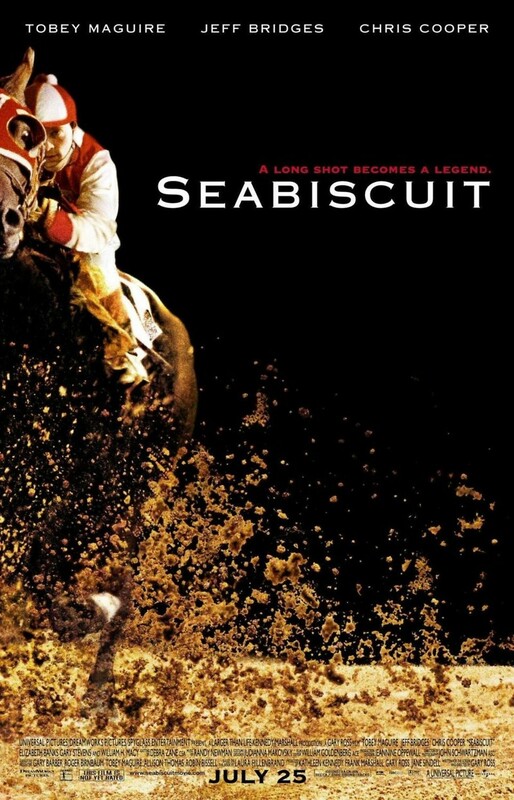 Along the way, accidents happen, but Seabiscuit and jockey prevail to instill inspiration.